Whiplash is a neck and spinal injury that is most commonly caused by a rear-end car collision, but that has other causes, as well. For example, the National Health Service of the U.K. says that a sudden blow to the head such as the type one might sustain while playing during contact sports (boxing or rugby,) or a slip or fall that causes a forceful jolt backward of the head are also causes. And yet another cause is shaken baby syndrome. What exactly happens to your neck when you have a whiplash? Let's look at it from the perspective of a rear-end car collision. Generally, both driver and passengers in the vehicle that gets hit may sustain the whiplash injury. But occupants in the other vehicle might become injured, as well. Technically speaking, though, injuries to riders in the other car are not whiplash. The impact of a rear-end collision usually forces the neck and head to "whip" suddenly and violently, which in turn, stretches those structures beyond their normal range of motion. As you will see, this over-stretching may be the thing that leads to the post-injury pain. A 2009 study entitled "Biomechanics of Whiplash Injury" that was published in Chinese Journal of Traumatology identified 3 distinct periods of time after impact, each with the potential to cause injury to the neck. At first, the neck is quickly and powerfully taken into flexion, which is a forward bending movement of the cervical spine. In this position, the neck loses its normal lordotic curve. In the 2nd phase, the bones in the lower neck start to extend, which is a movement into the direction opposite from flexion. In this way, the cervical spine assumes an S-shaped curve. Of course, the movement towards extension continues up until all the neck bones are in extension. (Extension is like an arching movement.) So in the 3rd and final post-impact phase, the entire neck is in extension. The Chinese researchers found preliminary evidence that whiplash related neck pain may be caused either by a strain to the capsule of the facet joint (located at the back of the spinal column at every vertebral level,) or by a pulling away (a movement called distraction) of one vertebra from the next. They cited more evidence for damage to the facet capsule than for vertebral distraction. Although it's not always possible, sitting safely in your seat is a key injury prevention measure. A 2006 study showed that a backrest (including the headrest) that is greater than 2.3 inches (60 mm) away from the back of your head, may help minimize whiplash, if or when it occurs. According to Dr. Brian Stemper, author of the 2006 study, the speed of the cars at impact does not determine the severity of the whiplash injury. Cars moving very slowly can actually produce intense whiplash injury, he says. And Yale researchers say having your head turned at the moment of impact makes the whiplash injury much worse. They note there's an extra degree of stretch that's put on ligaments in the cervical spine when your head is turned - even without an impact to deal with. But when you get rear-ended with your head and neck in that position, the ligaments are stretched all the more. This overstretching (neck sprain) can lead to tearing and spinal instability, they say. The researchers add that a head turned position is much more complex than a position where you're faced forward; because of this, related injuries are more complex, as well. Sometimes a whiplash injury is not obvious - to you nor to your doctor. The reason is symptoms such as pain or limitation don't always show up immediately. Plus, the damage done by a whiplash is usually strain or sprain to the soft tissue, and as such is never visible on x-rays, and rarely, if ever, on MRIs. 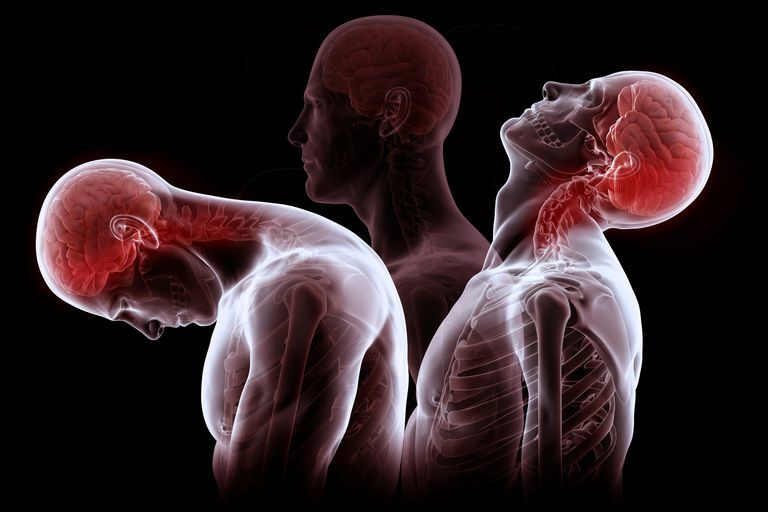 When they do make themselves known, symptoms of whiplash include things like such as neck pain, neck stiffness, shoulder weakness, dizziness, headache and memory loss and more. Chen H., et. al. Biomechanics of whiplash injury. Chin J Traumatolo. Oct 2009. National Health Service. Whiplash. NHS choices webpage. Last Update: March 2014. Panjabi, M. Whiplash Injury Much More Severe When Head is Turned. Yale News webpage. March 2006. Stemper, Brian, Ph.D., Yoganandan, Narayan, Pintar, Frank, (2006).Effect of head restraint backset on head-neck kinematics in whiplash. Accident Analysis and Prevention. 38, 317-323. Stemper, Brian, Ph.D., Personal Interview and Email Communication. Dec 21 and 22 2006.